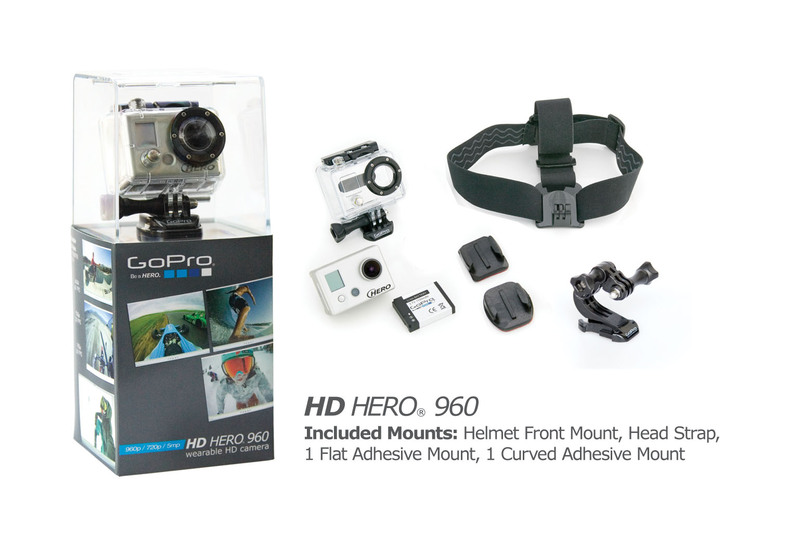 September 29, 2010 — Half Moon Bay, Calif. — GoPro, the world’s best selling wearable HD camera company, is proud to announce the release of the HD HERO 960, an entry level $179 version of the award winning HD HERO camera. The HD HERO 960 incorporates the same professional image and sound quality that has made the original HD HERO the camera of choice for more athletes and filmmakers than any other sports camera in the world. The HD HERO 960 is available today at GoPro.com and worldwide at authorized GoPro retailers for $179.99 (USA MSRP). Whether you’re passionate about outdoor sports or motorsports, jumping out of gondolas or out of airplanes, chances are you’ve heard about GoPro’s now world famous HD HERO line of wearable and gear mountable cameras. Designed for attaching to your body, head, helmet, and favorite gear, the HD HERO line of sports cameras makes it easy to capture professional quality HD video of you and your friends in action. A wide array of mounting accessories ranging from chest harnesses to head straps, pole mounts to surfboard mounts make it easy to capture incredible footage normally only seen in professional productions. As a result, GoPro’s HD HERO line of cameras is not only the top selling sports camera in consumer markets but is also the top selling camera to Hollywood for film and TV productions where an “easy to mount anywhere” professional HD camera is needed. GoPro’s success is best illustrated by the number of TV shows airing on Discovery Channel, National Geographic, CNN, CBS, BBC, Versus, FuelTV, SPEED TV, and more that feature footage from HD HERO cameras. “When I saw the footage from the GoPro on our big screens at Skywalker Ranch, I was amazed,” said producer Rick McCallum of Lucasfilm Ltd. The HD HERO 960 is an entry level version of the original 1080p HD HERO, sharing the same cutting edge video and audio capture technology but with resolutions on the HD HERO 960 limited to 960p (1280 x 960) and 720p (1280 x 720) at 30 frames per second, and WVGA (848 x 480) at 60 frames per second. Also removed from the HD HERO 960 is the HERO BUS™ expansion port that is present on the full featured 1080p HD HERO. The HERO BUS allows for LCD, secondary battery and additional expansion BacPacs™ to be attached to the original 1080p HD HERO camera, but not the HD HERO 960. Aside from theses changes, the HD HERO 960 is a full blooded GoPro camera. Retained are the award winning image and audio quality, ease of use, and durability. A sample of video shot in 960 on the HERO can be seen here. The HD HERO 960 is compatible with GoPro’s full line of mounting accessories and comes standard with GoPro’s first class customer service and one year warranty. Also featured in the HD HERO 960 is GoPro’s hands-free 5 megapixel timelapse photo mode. This automatic photo taking feature landed ASP World Longboard Champion, Harley Ingleby, on the cover Australian Longboarding Magazine this past July. The above photo is the original shot that landed the on the cover of the magazine. “I just paddled out and the wave that got the cover shot was actually the very first wave I ever set it up to shoot still photos,” said Ingleby. A new feature on the HD HERO 960 is “One Button Mode” which locks the camera into video or photo mode and automatically starts recording once the camera is turned on. Since the camera is locked into recording once turned on, this new “One Button Mode” makes it easier than ever to capture the footage of your most exciting moments with the single press of a button. Perfect for new users, loaning the camera to friends, or when rented out to rental customers, One Button Mode makes the HD HERO 960 as easy to use as pressing a button. One Button Mode can be turned on and off, depending on the user’s preference. The HD HERO 960 shares the same bomb-proof housing construction that has taken the original 1080p HD HERO to both the North and South poles, to the edge of Space and down to the great depths of the ocean. Rated to 180’/60m, the HD HERO 960’s housing protects the camera during any activity so that you can focus on having fun without worrying about the camera. In the event that you do damage the housing, replacement lenses, housings, and other parts are available so that you can replace only those parts you need, not the entire camera. Head Strap – Allows you to wear the camera like a headlamp. You can also pull this strap over helmets for easy camera sharing between friends. Flat and Curved Surface Adhesive Baseplates – Baseplate easily adheres onto a flat or curved surface allowing the HD HERO 960 with simple click on and quick release mounting. A new mount featured in the HD HERO 960 is GoPro’s Helmet Front Mount, a curved extension arm that makes it easy to mount the HD HERO 960 on the front of a helmet like a miner’s light or headlamp. The most low profile and convenient way to mount a camera on a helmet, the Helmet Front Mount also allows for the camera to be extended out in front of the helmet and pointed back at the wearer, allowing for incredible self portrait videos and photos of the action. 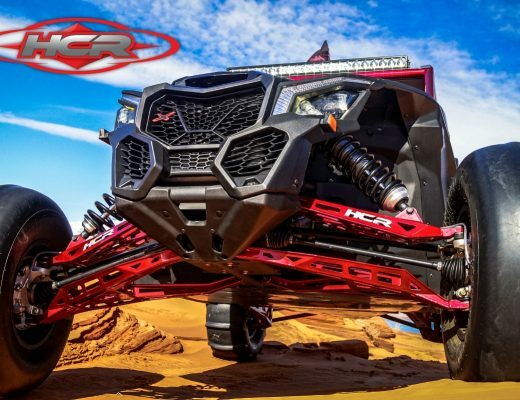 “We don’t automatically mark videos that were uploaded from a GoPro, so the fact that people are tagging their videos ‘GoPro’ is a great sign that our customers are really fired up on GoPro’s brand,” exclaimed Woodman. “Equally exciting is the average number of views these videos are getting. It’s telling that so many people love watching content captured with a GoPro camera. Your average GoPro customer is creating content that is often on par as with network television programming. That’s our most satisfying accomplishment…that we’re putting the power of professional HD capture into the hands of everyday enthusiasts. GoPro, indeed,” Woodman exclaims.